The phenomenal Mercato Centrale group, who organized a series of outdoor lifestyle and night food market, has good news to all the foodies from the South of Manila! 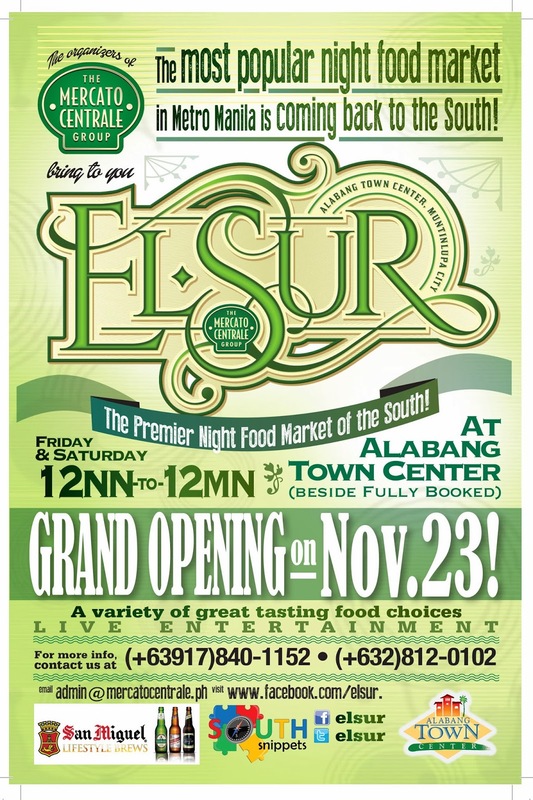 Its newest food market, EL SUR, opens at the Alabang Town Center (besides Fully Booked) on November 23 from 4pm to 1am and every Saturday onwards! Mercato Centrale is the company behind the first food truck market in the country (Cucina Andare). Many food businesses such as Rice Pots,Crunchy Belly, Manang’s Chicken, Merry Moo Premium Ice Cream, Ping Gu Mushroom Fries, Spring by Ha-Yuan, Kristina’s Inutak, Chuck’s Grubberie Fish and Chips etc. 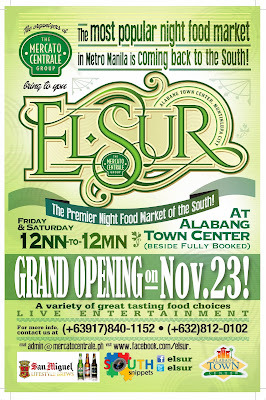 had their humble begginings from Mercato Centrale Night Food Markets in Manila, Subic and Pampanga markets.